I entered ‘Life Is Beautiful’ not really knowing what to expect; I certainly didn’t anticipate a part slapstick comedy. The film charts Guido’s (Roberto Benigni) romantic pursuit of Dora (Nicoletta Braschi), their married life, the birth of their son, and finally their removal from Italy into an extermination camp by the Nazis. The initial phase of the story is quite pleasant and sometimes funny, it has numerous running gags all concerning Guido, most of which he uses spontaneously to impress and bemuse his love interest Dora. Guido is an affable, happy-go-lucky character, his spontaneous charm works well overall, especially in a scene where he manipulates an important guest’s choice of dinner and in another where he comically translates a rather ominous looking Nazi. However, he can become exhausting, and he also becomes somewhat brash considering his surroundings in the latter half of the film. This brings me on to the depiction of the Holocaust. Guido’s escapades within the camp are completely implausible and rather stupid, he sneaks around being his effervescent self whilst it is clear that in reality he would’ve been shot on sight almost immediately. 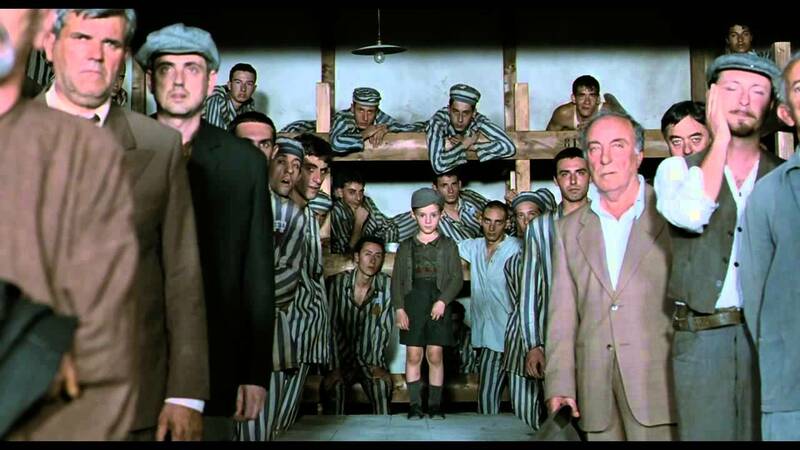 The film doesn’t offer hope because of its sheer implausibility, all it achieves really is trivialising the Holocaust. This film is rather like the term ‘Ethnic Cleansing’, it doesn’t work because it’s impossible and perhaps insulting to try and euphemise genocide. I’m not sure who the film’s target audience is. Is it a children’s film? That is one of the few ways I could perhaps see it working, as a method of introducing a young mind to the holocaust. But there is a problem with this, too, the film doesn’t even begin to offer an insight into the haunting evil of the holocaust. Instead, the audience gets a completely maudlin tale of ‘spirit’ and ‘hope’ that, with very little veracity, exploits one of humanity’s greatest evils for the sake of saccharine pathos. Judging from others’ opinions, I think this film will bode well with the overly sentimental who enjoy crying and disregard credibility.